Wanna store your excess furniture? Rent a storage facility and you get complete security, the storage units equipped with latest technology. But before you decide to move your furniture in the storage units, here are some tips to prevent any damage to your furniture. • Elevate the units by placing ledges or boards that prevent floods. • Prevent dust accumulation by covering the furniture with cotton fabric. • Optimise space usage by making the mattresses and sofas stand. 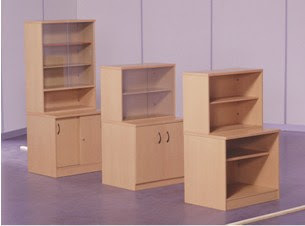 • Disassemble all the furniture units possible and assemble them back once you’ve moved to the permanent location. • Use bubble wrap to protect the corners and edges of your furniture. • The doors of the facility are wide enough to easily let the furniture pass in and out without any damage. • The storage units’ walls are strong and secure. • There are no issues like water leakage which can ruin your furniture. • The facility provides climate-controlled services. • The facility provides facilities like mini storage, long term, short term, indoor and outdoor services to enable you to select which kind suits your needs the best. Also you can rely on the storage facility for ad-hoc storage needs, big or small. Our relocation services In Abu Dhabi caters to all kinds of storage requirements.